Shown below are figures to help you visualize what the steps of Center Move 1 involve. 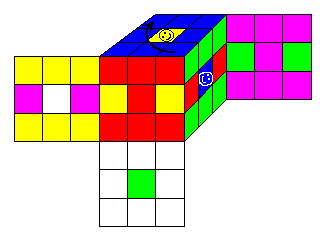 The move is complete, and has rotated the middle-center piece on the left face 90 degrees clockwise. 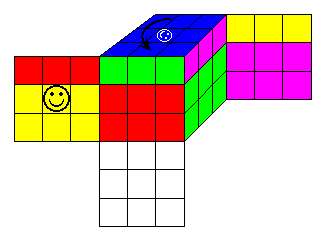 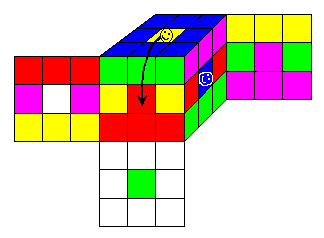 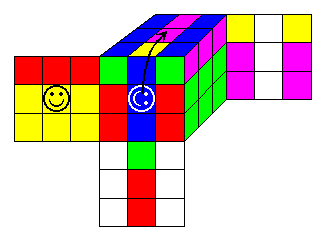 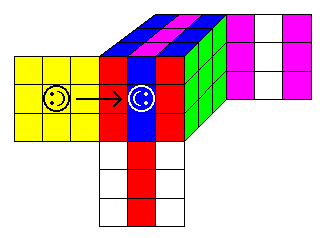 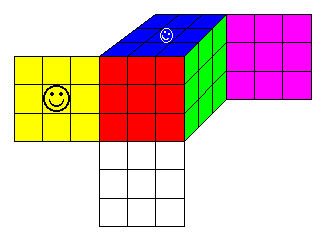 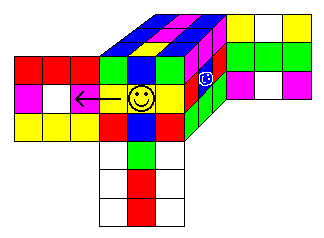 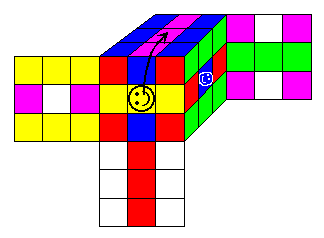 Use the Reverse of Move 1 to rotate it 90 degrees counterclockwise.